If you like tetras you're in for a treat with the latest issue of Practical Fishkeeping! We have two great articles spotlighting tetras in the July issue of PFK. These great community fish are among the most popular in the hobby. 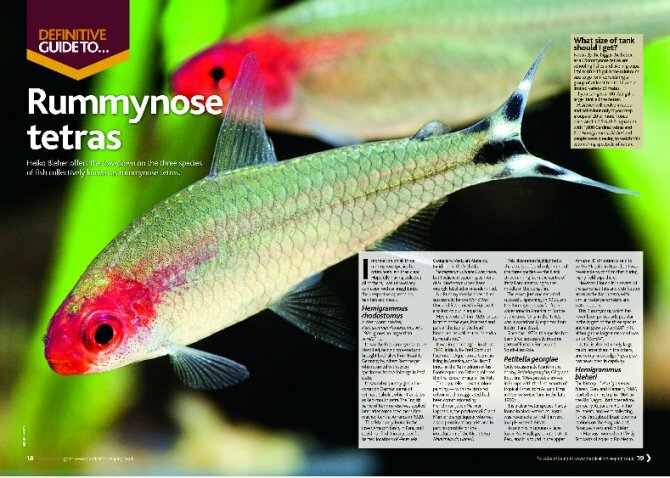 Heiko Bleher offers the low-down on the three species collectively known as rummynose tetras, one of which was discovered by the man himself, in this six-page special. It offers advice on how to tell the difference between them, setting up for them, suitable tank mates and fish that share the same biotope. Think of a tropical community aquarium and you will more than likely visualise one with tetras. Jeremy Gay selects 12 South American tetras that could easily grace your community tank, some of which are readily available, plus a few more unusual species. The July issue is on sale from June 9 2010.